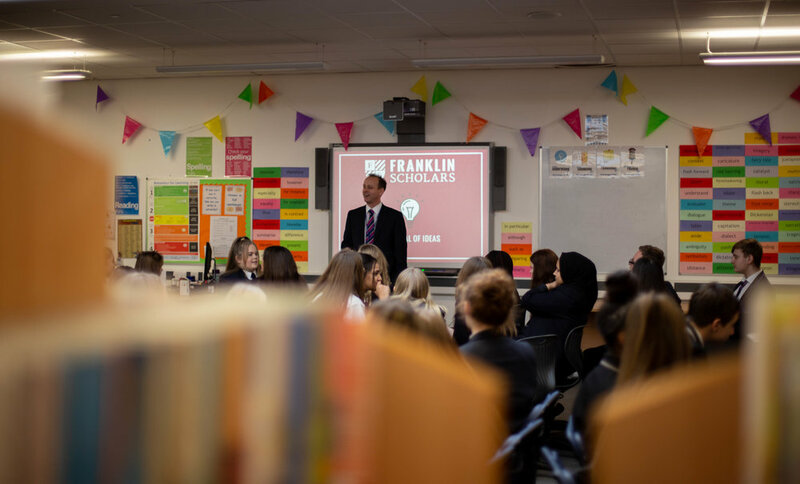 On Thursday 19th April, Year 9 and 10 students from eight schools across the Midlands came together for the Franklin Scholars Festival of Ideas at Chellaston Academy in Derby - a morning of community-focused collaboration and problem-solving. 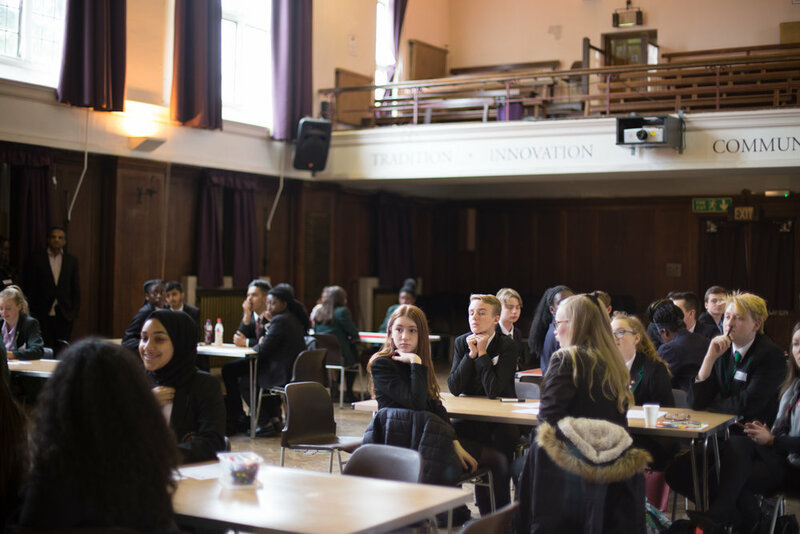 Other Derby schools in attendance were Derby Moor Academy, Heanor Gate Science College, Landau Forte College Derby, Merrill Academy and Noel-Baker Academy, as well as Alderman White School from Nottingham and The Discovery Academy from Stoke-on-Trent. 98% of students agreed that they had developed key social and emotional skills. Students worked in teams of five to find innovative solutions to social issues affecting their local community and school. 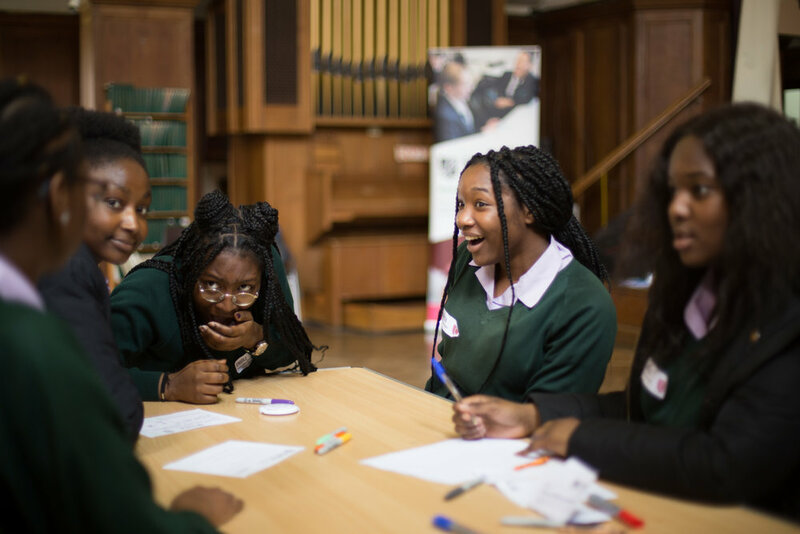 They tackled topics such as elderly loneliness, ways to improve female representation in STEM subjects, young people’s mental health, waste in schools, and encouraging young people to vote. The stakes were high, with a prize fund of £200 up for grabs for the best ideas. 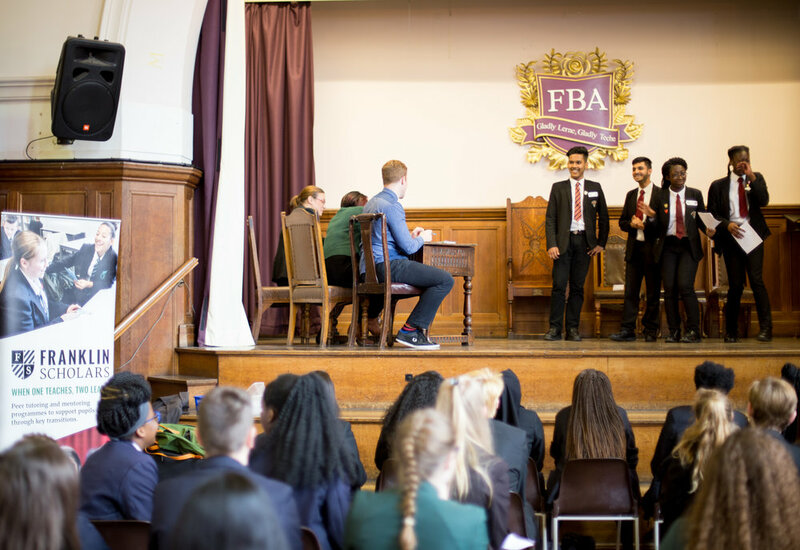 In order to prove themselves worthy of the prize, groups needed to pitch to a panel of formidable judges for Dragons’ Den. They were Carol Newby from Teach First East Midlands, Professor Keith McLay from the University of Derby, and Chellaston Academy Deputy Headteacher Steve Ellis. A daunting task indeed. 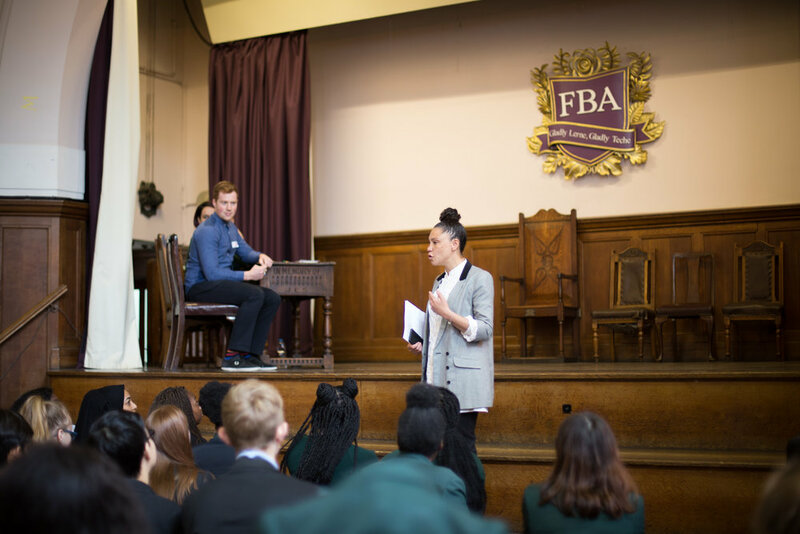 Following an intense ideation session to begin formulating their idea, the students took part in a public speaking workshop to hone their pitching skills. 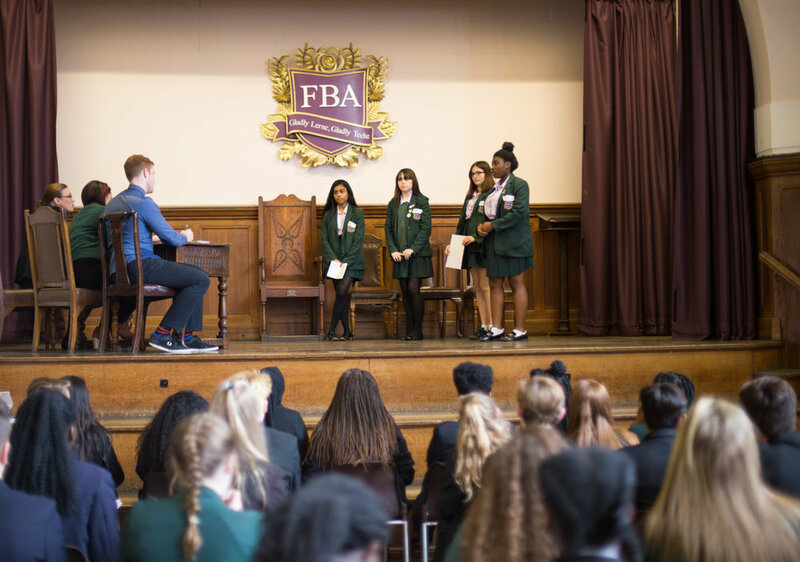 They practised some of the key features of an effective pitch such as eye contact, confident body language and a clear, loud voice. 76% of students said they feel more confident talking to new people. After refining their ideas and designing a 2-minute pitch for Dragon’s Den, it was time for the live pitches to begin. In total, 11 groups presented, with innovations ranging from using classroom tables as whiteboards to take notes and reduce paper waste, to having regular votes in school so that young people are familiar with the process and its benefits, increasing the likelihood of them voting during elections in the future. The standard of all of the pitches was high and left the judges with a difficult decision to make. After some deliberation, the three strongest ideas and chosen were, in third place, Landau Forte College Derby for proposing United Generations – meetings between older and younger people to share stories of the past and reduce loneliness felt by the elderly community. 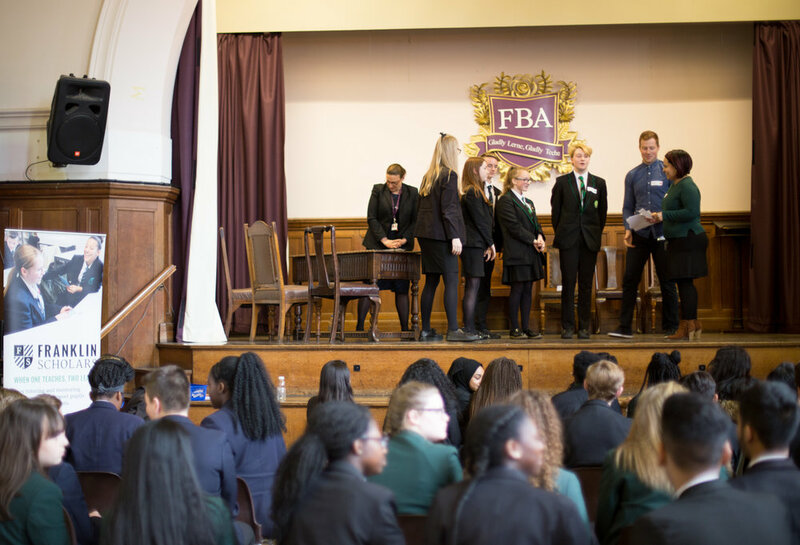 In second place was Alderman White School with 18-24 Votes – encouraging young people to vote by raising awareness in their local area and promoting the benefits of political engagement. And in first place were students from Chellaston Academy with STEM Festival – improving young women’s understanding of STEM industry jobs and opportunities through a festival attended by local female STEM professionals. 85% of students think they are now more able to make a difference in their community. 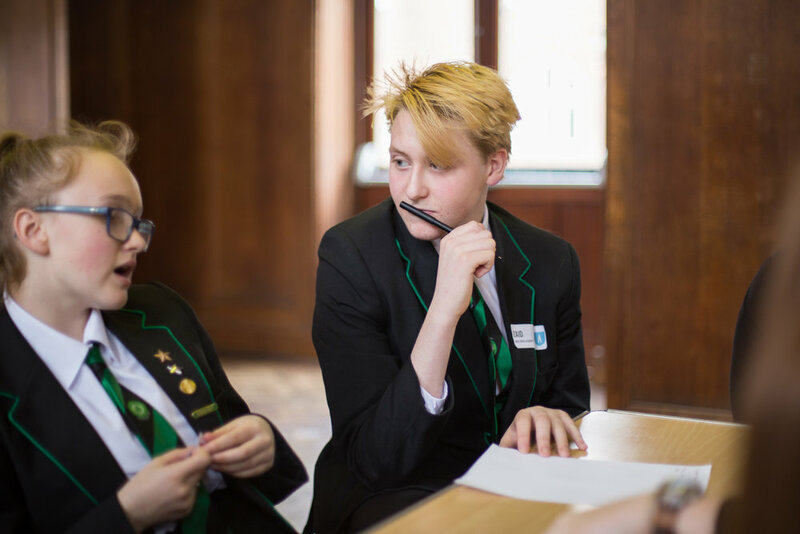 On Tuesday 9 May, students from 5 schools gathered at Frances Bardsley Academy to come up with and pitch new ideas for how they could support their communities. Students tackled challenges ranging from helping new students settling in, waste prevention, and elderly care. The best ideas pitched to our team of Dragons who awarded cash prizes to those ideas that had the most potential. 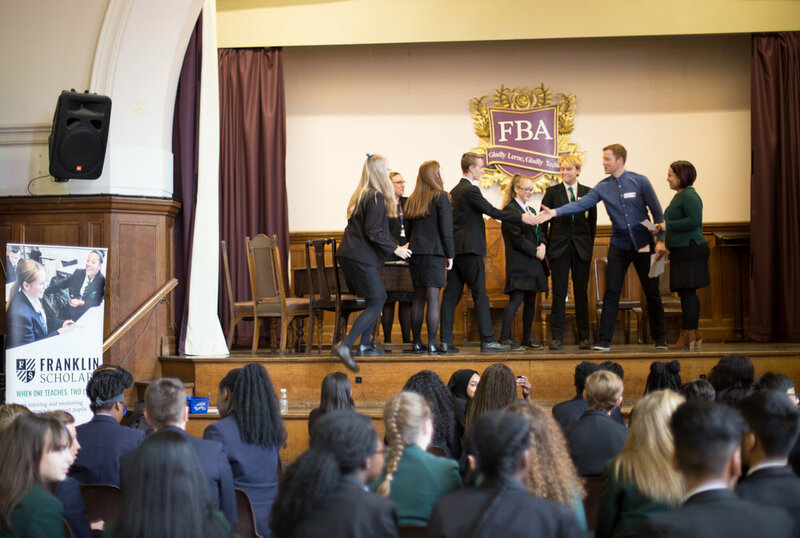 The winning idea, from students at Langdon Academy, involved creating engaging recycling bins that look like basketball hoops to encourage people to throw their rubbish away responsibly. Thanks to all staff and students from Frances Bardsley Academy, Langdon Academy, Abbs Cross Academy, The Albany School, and The Royal Liberty School for making it such a wonderful day. 55% of students said they feel more confident talking to new people. 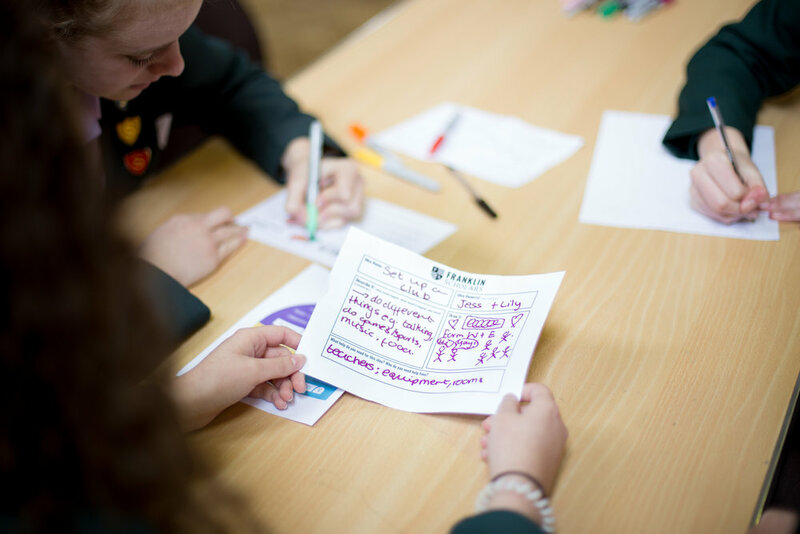 The skills and habits students felt they had developed at the Festival of Ideas.